The burrs generated during machining not only affect the accuracy and appearance quality of the parts themselves, but also affect the performance and life of the entire product. There are many types of burrs, and various processes may occur. It is not easy to remove all kinds of burrs on the parts. 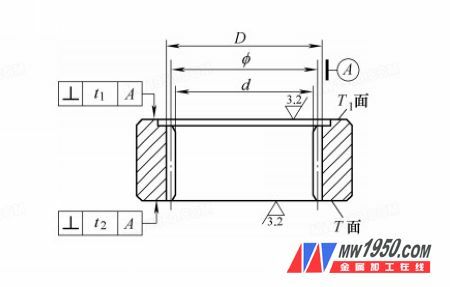 Therefore, it should not be limited to the passive remediation after the burrs are generated, but should be considered in the part design and processing stage. Actively suppress the generation of burrs by a series of processes, or control the height of the generated burrs within the allowable tolerances. As shown in Figure 1, the structure is analyzed: the product is simple for dimensioning, and the chamfers at both ends of the spline are designed to be uniform. The chamfering of the structure is mainly used for guiding, and the two chamfering is mainly to beautify the appearance. Sharp corners. When the effective load range of the spline is satisfied, the chamfer angle at the spline 2 can be designed to be other angles. Simplify the product structure mentioned above as shown in Figure 2. 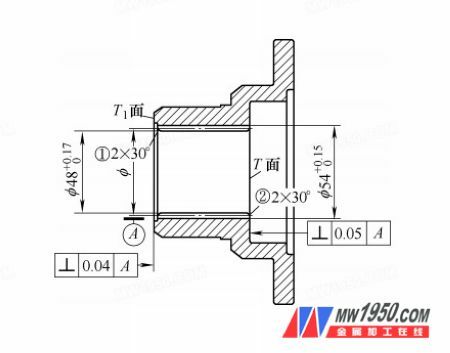 From the technical analysis: according to the dimension dimension of the drawing, the large diameter of the T-face spline hole chamfer is Ï† 50.39mm (the median value is taken). When the inner end of the fine car T end face ensures the end face beating, the burr generated by the fine car It will be turned into the spline. When the next process is carried out, the fitter needs to manually arrange the deburring by hand, which not only slows production, but also increases the processing cost. (1) Increasing the process counterbore D1 (see Fig. 3) For the front side of the pull spline, the blank surface is uneven, and it is considered to increase the process hole D1 before the pull key (the assembly surface assembly part diameter) >D1>D), the depth L (L is 0.2~0.3mm smaller than the total length of the two sides required by the product), so that when the fine car or the rough T-face is finished, the burrs generated will remain at the bottom of the D1 hole, with the oil stone With a slap, the burrs are controlled at the allowed height or removed. However, such a process will create a small step at the T-side D1, and the assembly situation here should be discussed with the product design. (2) Change the chamfering large diameter D 1 is larger than the spline large diameter D (see Figure 4). 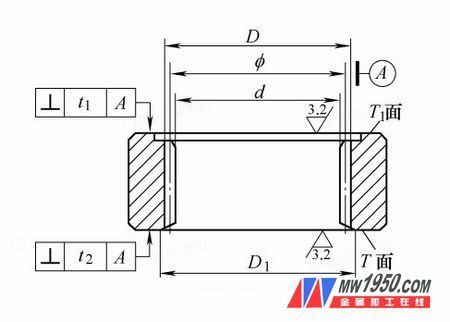 For the semi-finishing of the front T-face of the pull-tab, you can consider changing the design chamfer size to ensure the effective load-bearing length range of the spline. Inside, the chamfer is marked with the chamfered large diameter and the chamfer depth. Thus, when finishing the T-face, the chamfer large diameter will fill the role of the current angle cutting. Selecting the rake angle between 15Â° and 20Â° can reduce the cutting force, reduce the friction between the rake face and the chip, make the cutting brisk, and cut the generated chips smoothly at the chamfering large diameter, basically controlling the burr turning over. Inside the spline. 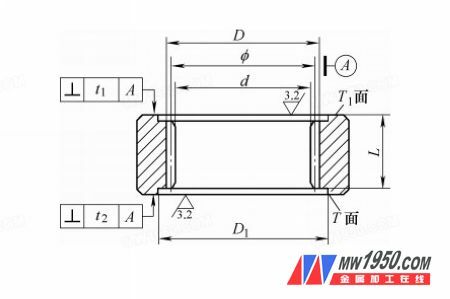 The biggest feature of this method is to control the development direction of the burr, eliminating the manual removal of the burrs in the spline and reducing the labor intensity. The process system can smooth the process, reduce the accumulation and waiting time, and the production system can respond to market changes agilely. 1. With bactericidal, antibacterial, highly-efficient, broad-spectrum, and long-lasting features. 2. Miscible with water and easy to use. 3. Will cause no harm at the recommended concentration of using. 4. Don`t accumulate in the environment; easily degraded. 5. Suitable for use in the medium of the pH value in the range of 2 to 12. *ï¿½tcï¿½_=_;cutting oil, leather, detergent and cosmetics etc..